Peace River Psychology Center - Karin Galliano, Ph.D.
Dr. Karin Galliano is a licensed clinical psychologist treating children, adolescents and adults. Her specialty is in internalizing disorders, specifically depression and anxiety. She obtained a Master of Arts in Psychology from Fairleigh Dickinson University in New Jersey and upon moving to Florida obtained a Masters in Science as well as a Ph.D. in Clinical Psychology from Florida International University. Throughout her studies in Miami, she worked for seven years at a research based clinic for children and adolescents treating exclusively anxiety and phobia cases. Dr. Galliano was also active in a number of grant projects associated with Florida International University researching PTSD effects of crime and violence on children and adolescents in Miami elementary and high schools. Her doctoral dissertation focused on the effects of marital conflict on internalizing disorders in children and adolescents. Upon entering private practice, Dr. Galliano discovered that her dissertation also made her an expert in marital discord. She is a big supporter of working to keep marriages intact whenever possible and enjoys the challenges of marital therapy. 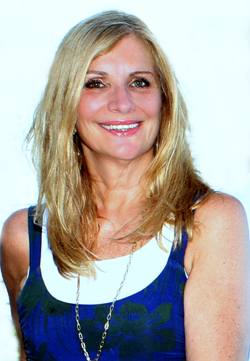 Dr. Galliano is also known for her work for grief counseling. Her expertise in anxiety management is pertinent to grief issues which she likens to “separation anxiety”. She urges that individuals who have lost a spouse to obtain help for the first crucial year after the loss since research shows they are at high risk of getting sick themselves. When Dr.Galliano opened Peace River Psychology center in 2000, she was enthusiastic about a holistic approach to mental health. She devised that center’s motto of being “a health spa for the mind”. She is an inspiring and optimistic person who never grows tired of hearing about other people’s life stories. She considers it an honor and a privilege to work with cancer patients and the terminally ill.
One of Dr. Galliano’s secret weapons is her co-therapist, Axl. 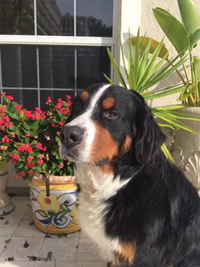 He is a Bernese Mountain dog who accompanies the psychologist to work each morning. Research supports the calming and therapeutic effects of animals, and patients welcome the positive energies emitted from this gentle giant. Therapy is all about the healing and growth translated through the relationships between the patient and the therapist. 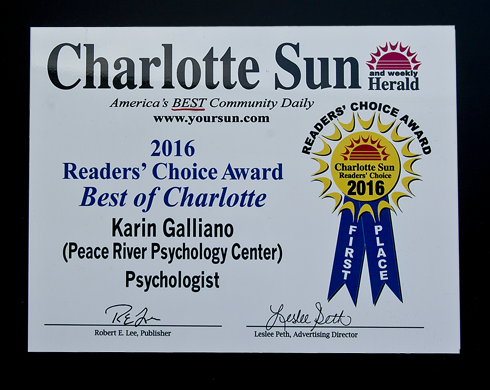 Dr. Galliano is the 2016 Best Psychologist, according to the Charlotte Sun readers. Axl agrees with the readers!